This Banter between Simi & Her Mom is Too Cute 😂! 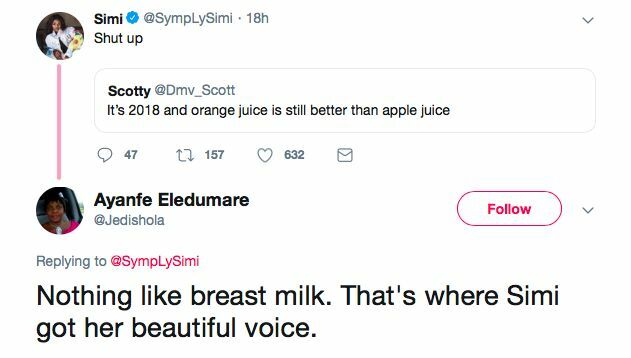 Nigerian singer Simi and her mum Jedishola are the cutest mother and daughter duo on social media and we love how they banter with one another. So what had happened was Simi was going about her day, tweeting, when her mother let her know where she got her beautiful voice from.